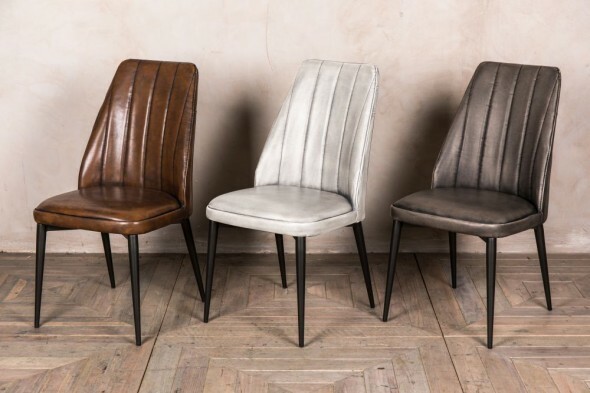 Bring vintage style to your home or business with ‘Cayman’ faux leather dining room chairs. 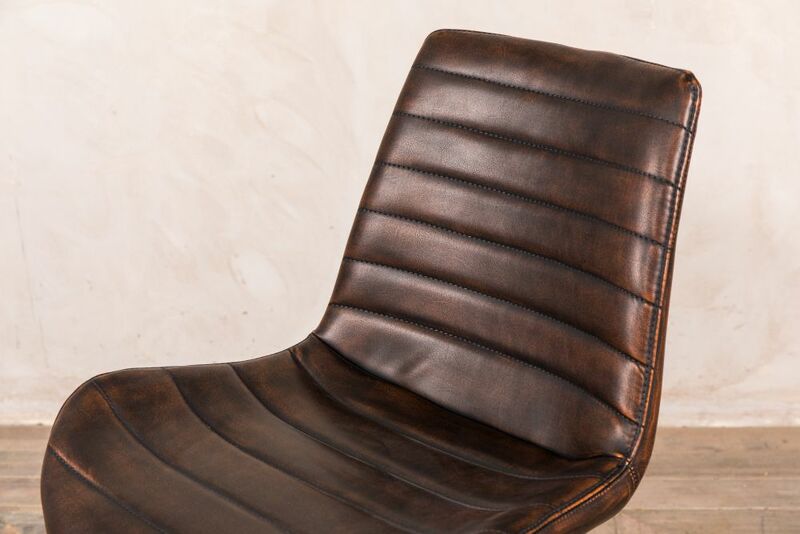 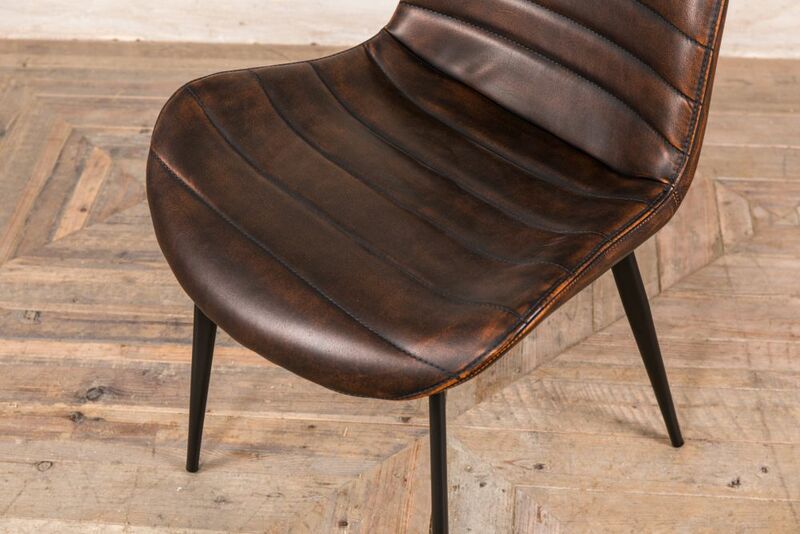 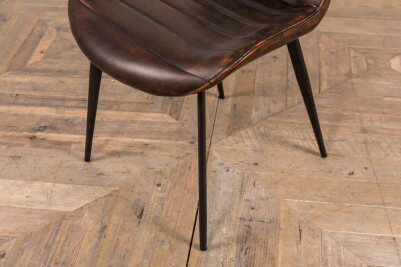 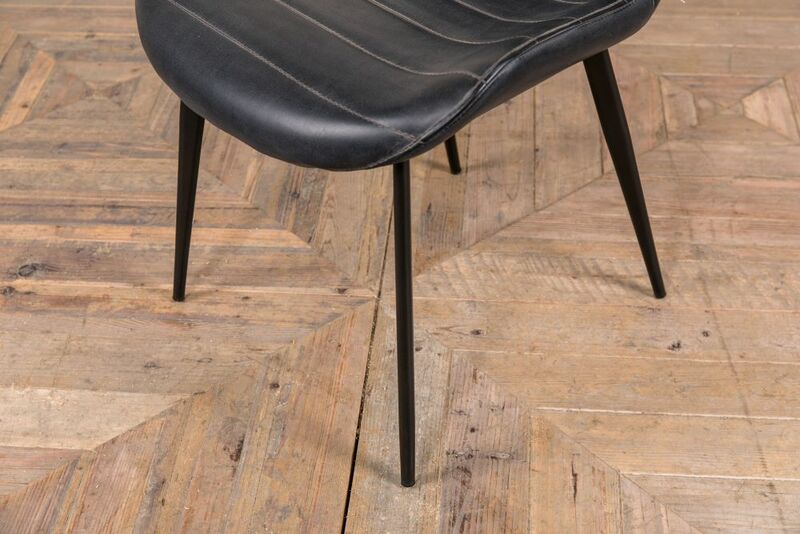 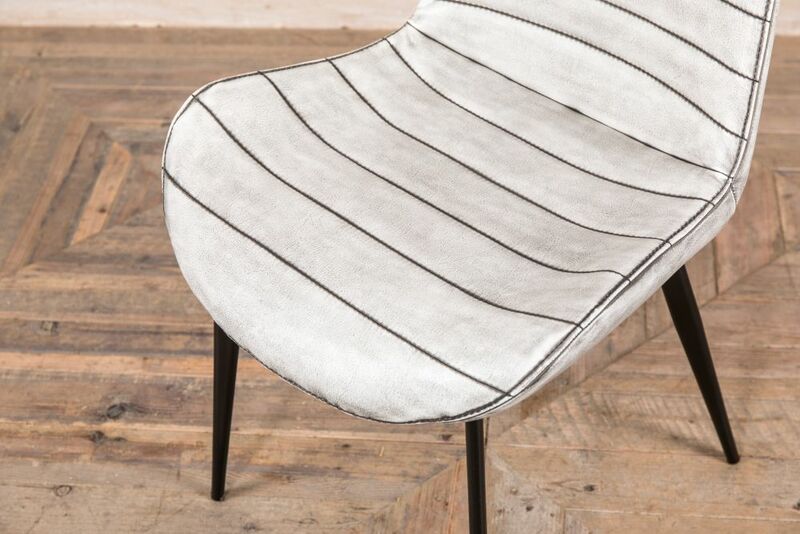 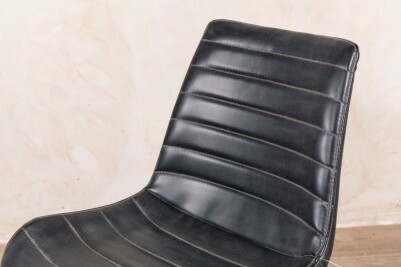 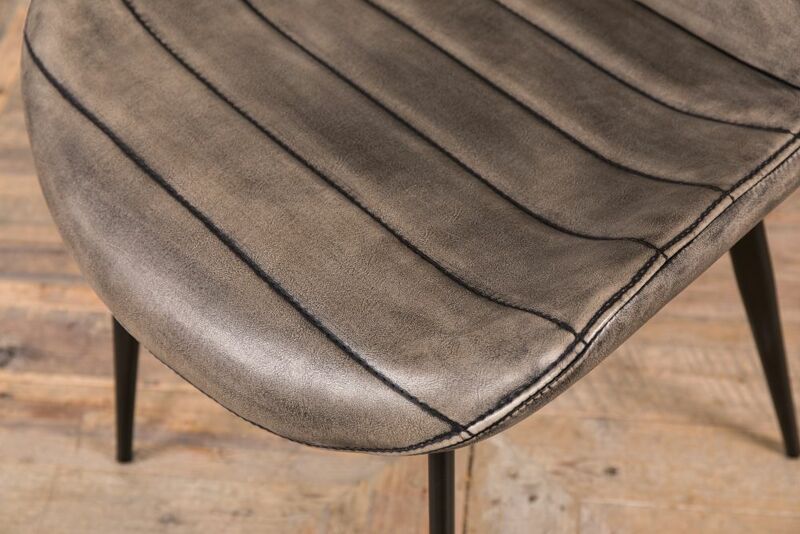 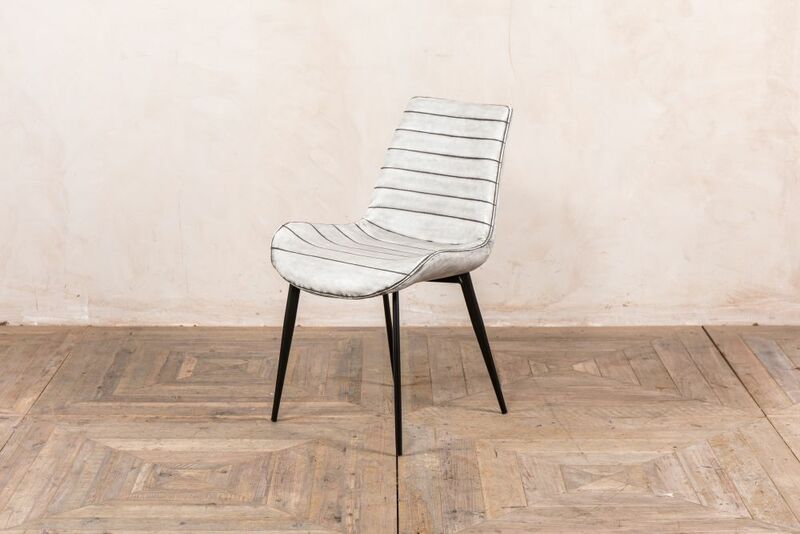 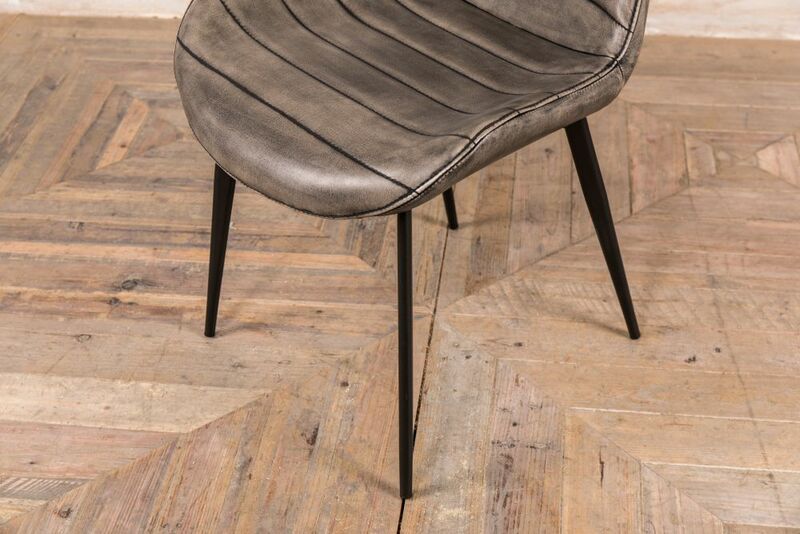 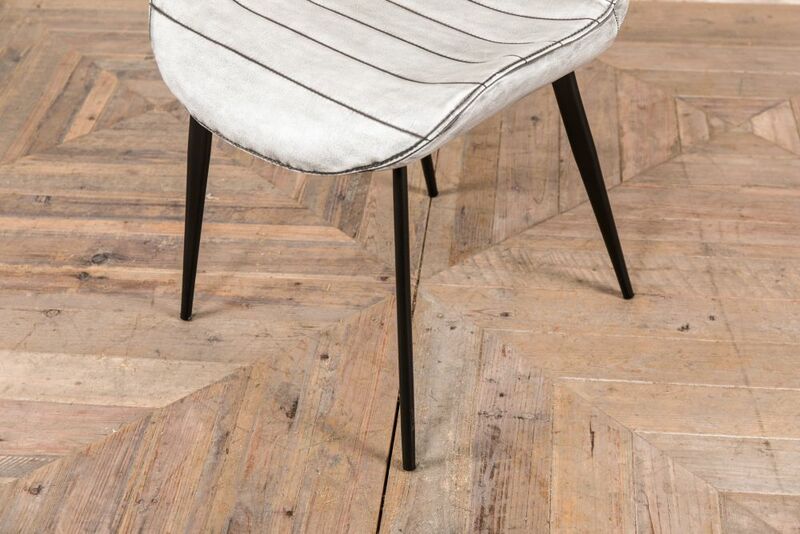 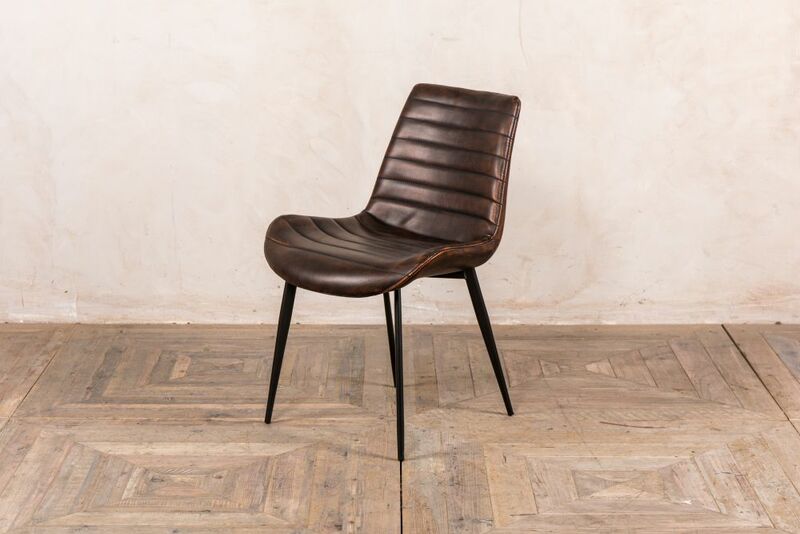 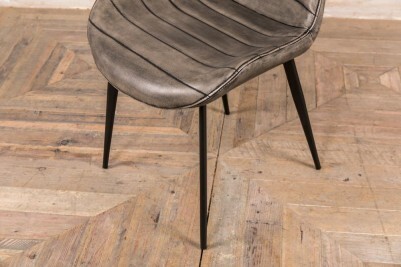 The chair has distressed faux leather upholstery that adds to its vintage style. 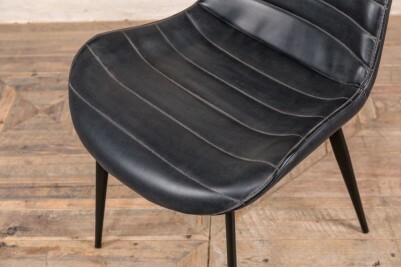 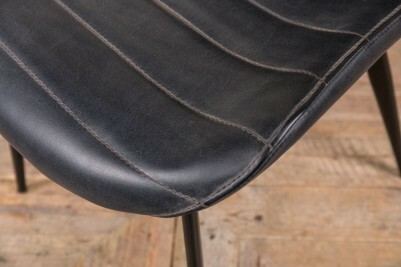 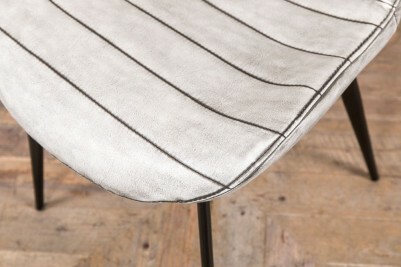 The seat and back are slightly curved and have horizontal stitching. 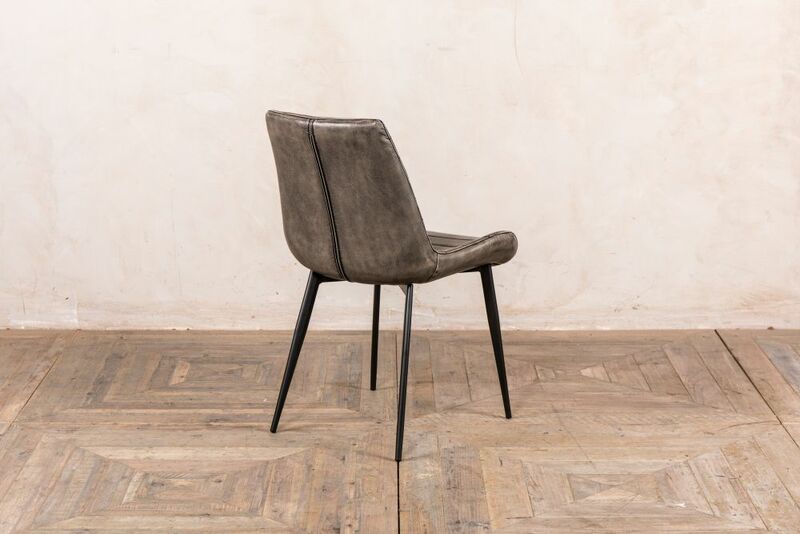 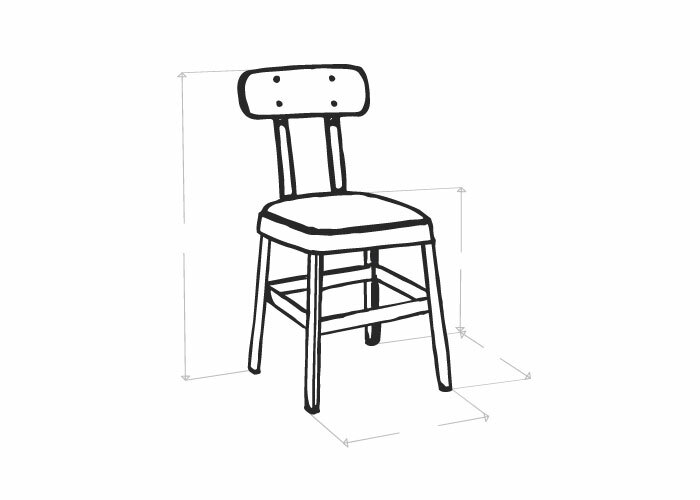 The chair’s legs are minimalist, making them ideal for most interiors. 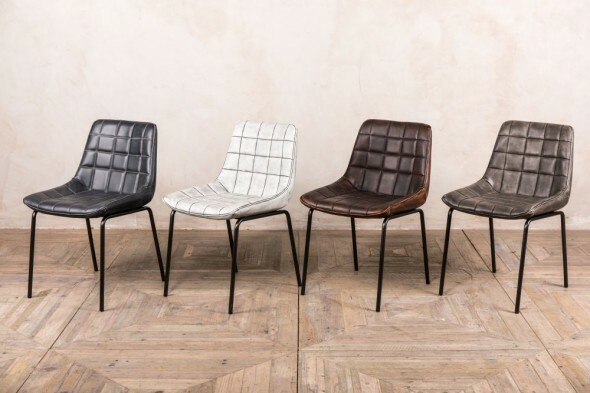 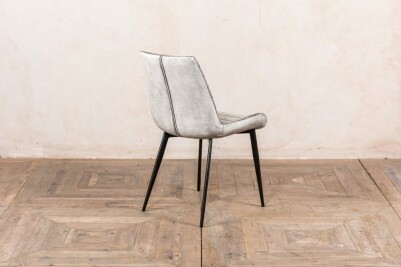 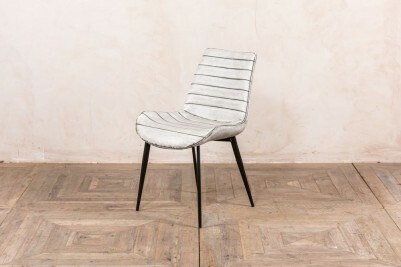 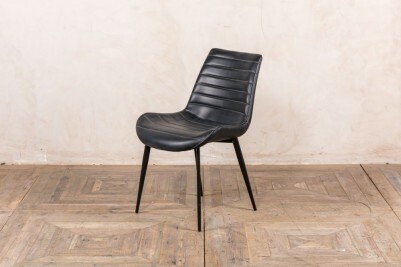 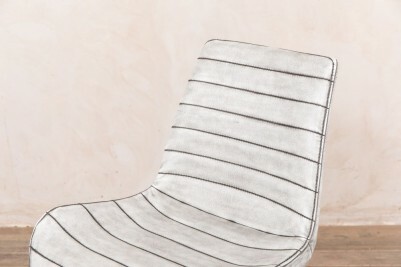 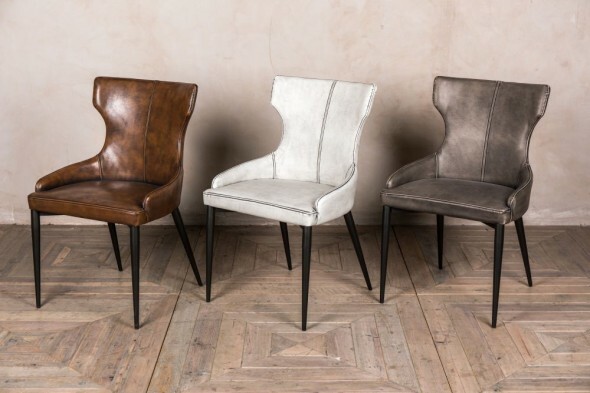 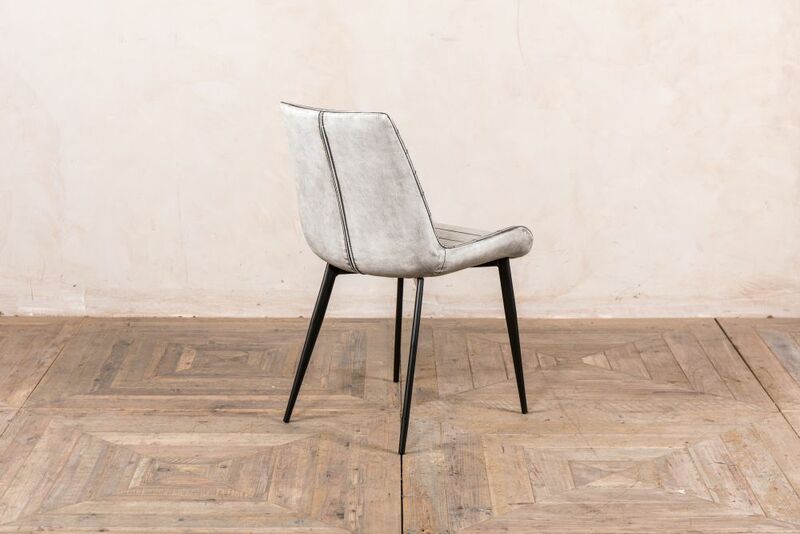 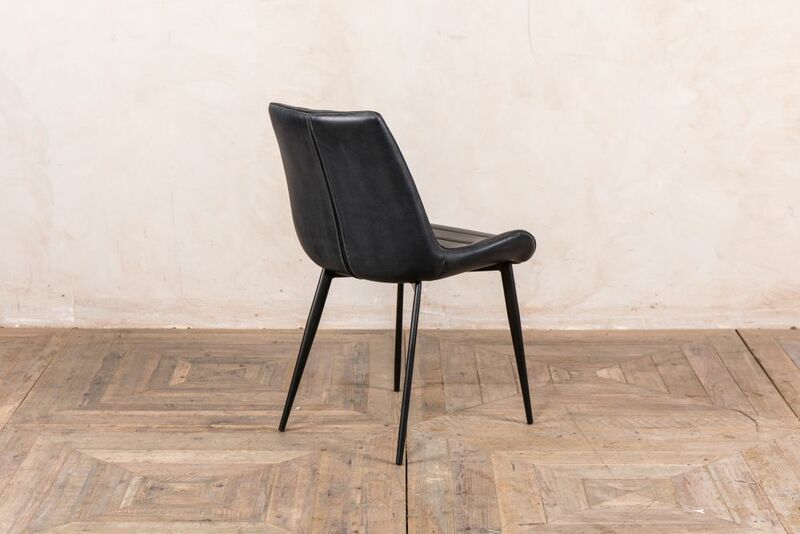 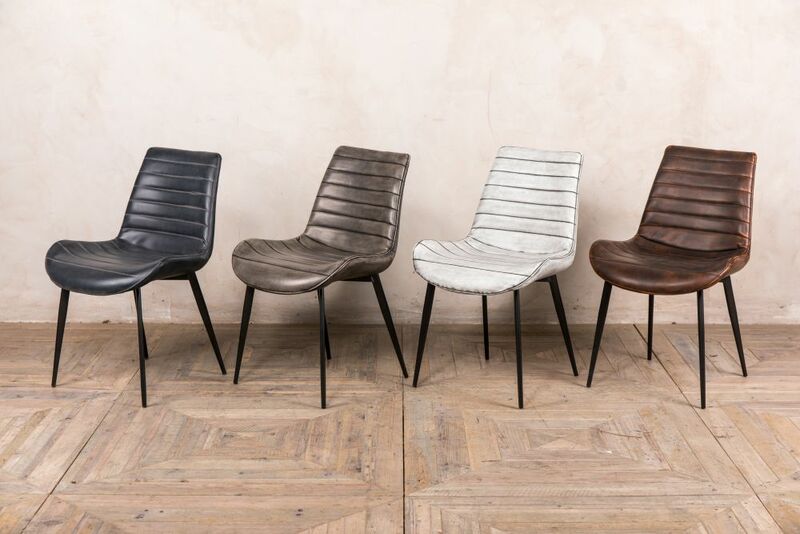 The faux leather chair is available in four colours: vintage white, vintage grey, vintage black, and chestnut. 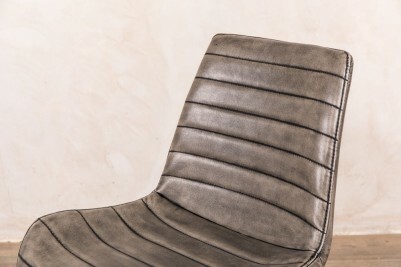 The ‘Carrera’ are available in the same colours, so are perfect for mixing and matching.